I am so excited to announce today’s giveaway from My Memory Suite! I LOVE scrapbooking, but I hate the time involved. I am a busy mom with two kids and spare time is hard to come by. I have never really tried much digital scrapbooking until recently, and let me tell you, it is definitely the way to go.When My Memory Suite contacted me about doing a giveaway I was thrilled! Their software makes digital scrapbooking SO EASY that even a beginner, like myself, will find it easy to use! They provide an array or papers, tools, embellishments, fonts, optional layouts, as well as pretty much anything you would use in regular scrapbooking. 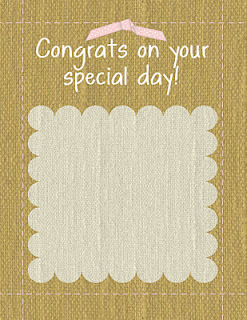 The great thing about digital, is that you get the same scrapbook look, only with less time and the ease of changing and rearranging, even at the very end.”My Memories Suite v3 software is a complete digital scrapbooking solution that provides a comprehensive powerful set of creative tools no other scrapbook software can offer. With its intuitive workspace and enhanced time-saving features, this application is perfect for a beginner to create a complete album in minutes, or to empower the design pro to build a scrapbook album masterpiece.”Almost any review you find will have My Memory Suite ranked as #1 for digital scrapbooking, and it is no wonder why. With everything their scrapbooking software includes, the ease of use, and their list price, it truly is a phenomenal software and company!Here are a couple pages and cards I whipped up in very little time! Looooooove Pinterest! and following all your boards there! We have been FB friends for quite some time now and it's been a pleasure! I am a google follower to your beautiful blog that keeps growing and growing every time I pop in. I am following all your boards on Pinterest,love it!! I am already a follower of your blog,love reading it every day. Great recipes and ideas!! I liked your Facebook page! Great giveaway! Visited the My Memories site. My fav paper pack is the Color me Happy one. Very cute! Following all of your boards on Pinterest! Love Pinterest! Been following your blog for awhile! Great recipes! I visited their site and I love the background "A Step in Spring." Got FB covered and following your blog! Following you on Pinterest! Love your recipes! I follow you on pinterest (you were my first), My favorite digital back round is -You are a Gem-January- it is soooo pretty and I will defiantly comment on facebook about your site. I'm sorry I don't blog or twitter. I have made 4 things from your site so far and I only found in last week. YUMMY!! Love the "All In A Day" pack! Shared your Giveaway on Facebook! I just became a friend! I like the Bright Christmas and vintage farm on the my memory website! I like Chef In taining on Facebook and I want to win the my memories digital scrapbooking software! I follow Chef In taining on Pinterest and I want to win the my memories digital scrapbooking software! I subscribe to Chef In training blog and I want to win the my memories digital scrapbooking software! My favorite kits are all the FREE ones, especially Cherry Limeade! I liked you on FB a while ago! Love love love your recipes!!! I also follow all your boards on Pinterest!! Fabulous! I really like the "sugar kissed combo" paper pack. Love the colors! The color me happy pack is cute!! I also follow you on Pinterest now! I also follow you through Yahoo groups. AND my favorite paper is "I am Woman"...I just had a beautiful baby girl 8 months ago and would love to digitally scrap my pregnancy! Love your Pinterest pages.. following you there too! thanks for making a fun facebook page. following you! Followed on Facebook, liked on Pinterest, and followed thru the "Let's be friends!" link. Thanks for doing the giveaway, I would love to try making scrapbooks digitally. I am woefully behind on all 3 of my kids baby books. I am now following Chef in Training. My favorite paper pack from My Memory Suite is Warm Winter Wishes.Thanks! I'm following you on Pinterest. I came for the recipes, but am staying for the scrapbooking! Nice blog. I'm with you on Facebook! Had a heck of a time getting back here with the name of the paper pack intact in my brain - I kept getting distracted! lol Garden Notebook was a pack I liked. Following on "let's be friends"
I follow you on Pinterest and would LOVE the software. 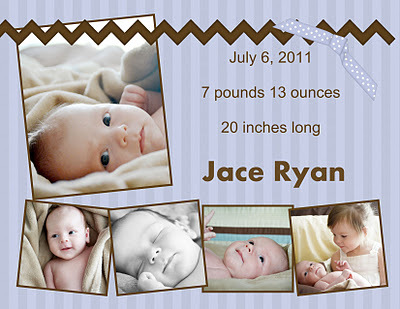 What a great and fantastic idea to have scrapbooking software! I love the samples you have! The pictures look great! I love your blog, all the recipies are fantastic! I am following many of your boards of pinterest. went to memory suite site and I really like all the frames you can get. all the different shapes are awesome!!!! I love the 4 seasons summer vacation pk on Memory Suite! I love the Merry Christmas paper pack on My Memory Suite. Thanks. I would love to win!!! I am a follower on Facebook! I am a follower of you on your blog...love your blog! I really like the color me happy scrapbook kit! I like Chef in Training on FB- Becky Marshall. I love color me happy pack! I'm following your blog,pinterest and facebook. I hope I win! Visited the my memories site...love the Mod Valentine Pack! I like CiT on FB! I love the vintage farm set! Liked you on Facebook! Love your recipes! I need help scrapbooking our wedding, so I would probably pick the Christel's wedding pack.